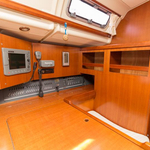 Calando is a name of vessel Dufour 455 Grand Large ,which was produced in 2010. 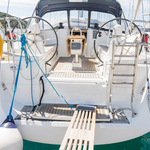 You can rent this boat from marina Rogoznica in area of Sibenik. 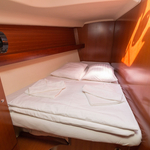 Calando is equipped with 10 beds. 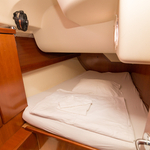 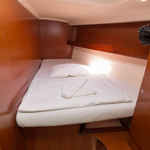 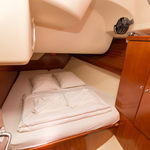 Sleeping places on the sailing boat are arranged in 10 (8+2) scheme. 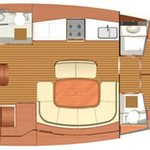 4 cabins are placed inside the boat Calando. 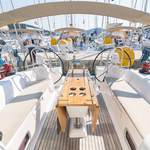 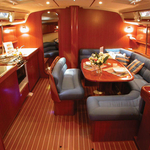 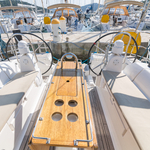 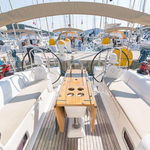 Read about our offer by going to this section: Yacht charter Sibenik. 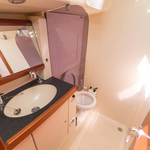 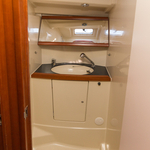 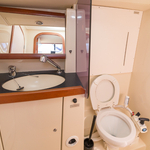 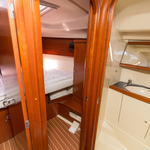 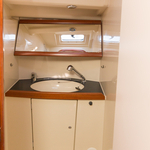 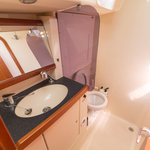 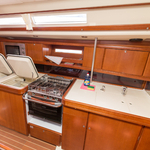 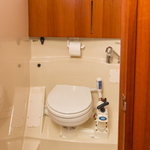 Crew members can feel satisfied on this sailing boat , because there are 2 WC for their disposal. 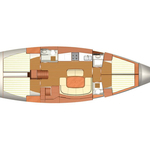 Calando is equipped with motor 55. 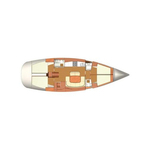 Vessel's dimensions are: lenght overall - 13.76 meters , beam - 4.30 meters and 2 meters of depth. 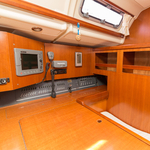 On the sailboat there is following equipment: Gps plotter, Autopilot, Plotter gps in cockpit, Gps, Anchor electric windlass, Bimini top, Teak cockpit, Bow thruster, Heating, Bed linen & towels, TV, Outboard engine, Freezer, Microwave, Mainsail with lazy jack. . Security caution has value 2000.00 EUR. 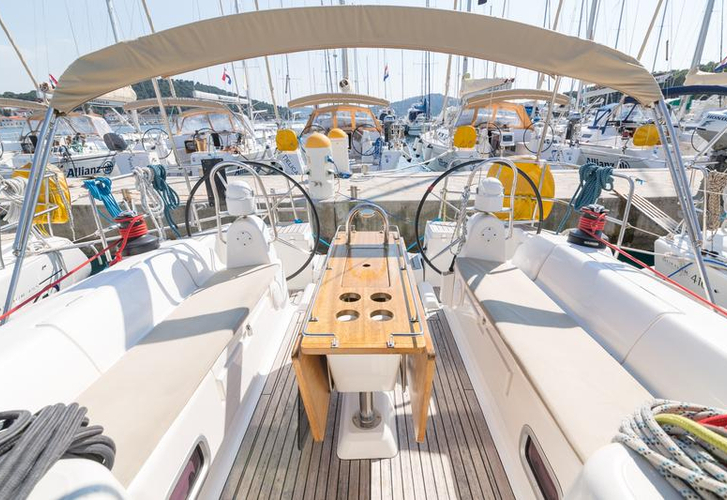 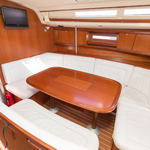 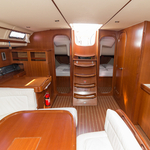 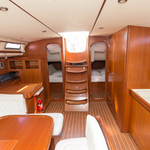 In our search engine you can easily check avalailability of boat Calando from Rogoznica in section: Yacht charter Croatia. 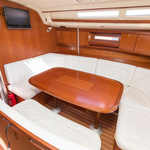 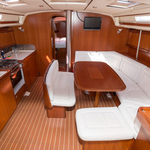 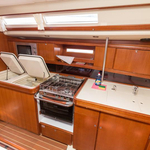 Dufour 455 Grand Large Proxima Vida !